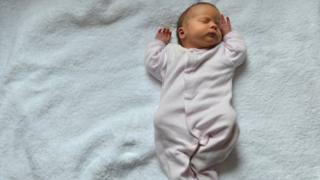 All babies in the UK are offered a potentially life-saving vaccine against meningitis B, as part of a national immunisation programme. But hundreds of thousands of people have signed a petition for the jab to be offered to all children under the age of 11 after a mother shared pictures of her daughter dying in hospital from meningitis B. It is a bacterial infection that most often affects children under one year old. There are about 1,200 cases each year in the UK. Symptoms include a high fever with cold hands and feet, confusion, vomiting and headaches. With early diagnosis and antibiotic treatment, most people will make a full recovery. But it is fatal in one in 10 cases - and about one in four of those who survive are left with long-term problems, such as amputation, deafness, epilepsy and learning difficulties. There are effective vaccines against other strains of meningitis - but, until recently, not against Meningitis B. The vaccine is relatively new and the UK is the first in the world to add the jab to its routine childhood vaccination programme. The vaccine has been found to be safe and well-tolerated in trials involving more than 8,000 people. It is not possible to prove how effective the vaccine is because of the rarity of meningitis B. But based on how the jab affects the immune system, it is thought to provide protection against around 80%-90% of meningitis B subtypes. In 2014, the Joint Committee on Vaccination and Immunisation - the expert body that advises the government on vaccinations - recommended that babies be given the meningitis B vaccine, from two months of age. The committee had previously ruled that the vaccine should not be introduced - because, it said, it was not cost-effective. This caused an outcry from campaigners, and 118 paediatricians, nurses and scientists wrote to Health Secretary Jeremy Hunt pressing for the committee to reconsider. Discussions between the Department of Health and GlaxoSmithKline - the company that manufactures the Bexsero vaccine - over the price began in August 2014. However, the government could not agree a price for the vaccine. In March 2015, Mr Hunt announced an agreement with the firm to supply the vaccine. In June, it was announced that the vaccine would be given to all babies when they reached two months of age. And the booster jabs would be given at four months and 12 months as part of the childhood immunisation programme from September 2015. The decision was made to protect those most at risk - cases of meningitis B peak in infants at around five or six months of age. But the Joint Committee on Vaccination and Immunisation (JCVI) did advise a catch-up programme for slightly older babies who were three or four months old in September 2015. But not for any other age group. Like all vaccines, the Men B vaccine can cause side-effects, but studies suggest they are generally mild and do not last long. According to NHS Choices, almost 8,000 people, including more than 5,000 babies and toddlers, have had the new Men B vaccine during clinical trials to test its safety. Since the vaccine was licensed, almost a million doses have been given, with no safety concerns identified. The vaccine does not give someone meningitis. It is made from proteins found on the surface of the bacteria that cause meningitis. This stimulates the immune system to protect against the real disease.